It’s amazing what’s lurking in our homes without us even realising. Attics, lofts, cellars and garages are all havens for junk and that’s before we’ve even started de-cluttering the living room and kitchen. When it comes to selling your home, it’s vital to keep it as clean and fresh as possible. Buyers need to see how much space your home has to offer and it can be hard to tell if it’s stuffed floor to ceiling. 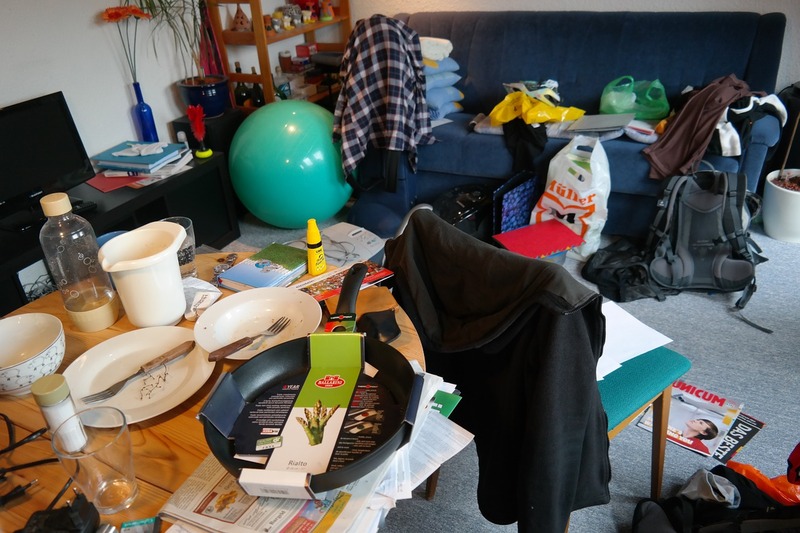 The first rule is be ruthless – that doesn’t mean hiring a skip or parting with treasure possessions, you simply need to hide them away until your home is sold. Books look wonderful on a bookcase but not so appealing if they’re in teetering piles on the table or floor so invest in cheap storage furniture. If buyers can’t see past your guitar collections and think your double bedroom is only big enough for a single bed, it could lose you a sale. Toy boxes, laundry baskets, blanket chests, underbed drawers and vacuum packs are all easy ways to store items, especially if you’re having a frantic tidy-up before a viewing. Consider storage companies for larger items or big collections. They offer short term storage rooms of varying sizes and can be an ideal way to keep your items out of the way while your home is up for sale. Equally, can family or friends house your more precious items for a few months? If your garage is floor to ceiling, can you move some items to their garage or shed temporarily? Remember too that everything in your home will need to be boxed up and loaded into a removal van so it’s a good time to have a clear out. Have a root under beds, in cupboards and in the loft to see if you can part with anything. Be critical of your décor too. People need to see past your wallpaper and furniture – is there anything which could be putting them off from even stepping over your doorstep for a viewing? Take informal photos of each room as they may show something you haven’t spotted. If you do decide to have a complete clear out, take heart that you’re helping others. Charity shops are often desperate for items, recycling saves the planet and selling online could earn you some cash to restock your new home!